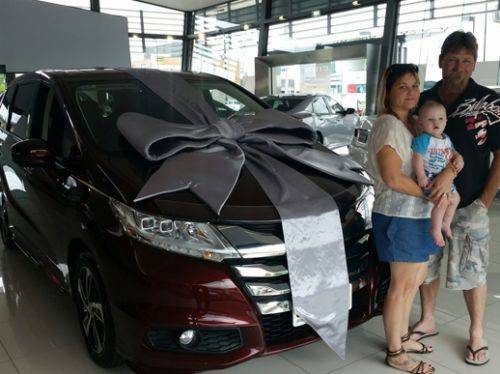 23/04/2018 - Will and Michelle are geared up to take the family on the next big road trip in their new Honda Odyssey VTi-L.
7/03/2018 - It's not very often the boss delivers a car but today he did! 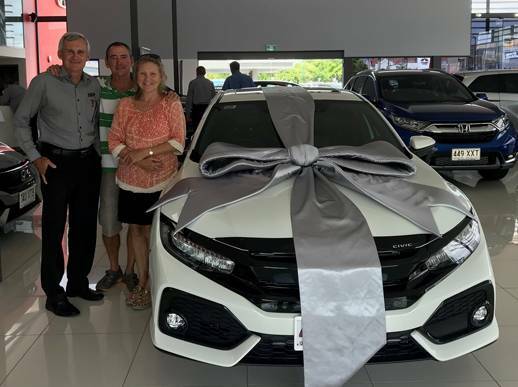 Congratulations to Tom and Kerry who are the proud owners of this new Honda Civic that John gave them a great deal on. Thanks again for choosing North Jacklin, safe travels home. 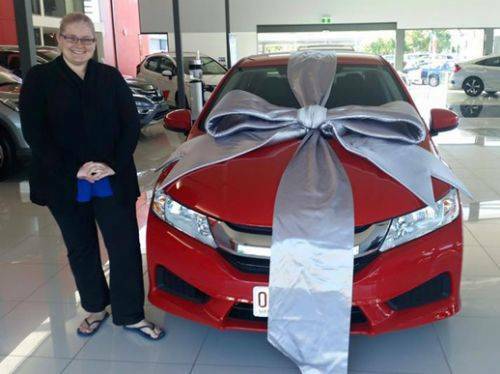 30/12/2017 - The very last Honda to leave the Dealership for 2017 belongs to Franz and she's very excited to see what her Jazz can do. Thanks again for your business Franz, happy motoring and Happy New Year! 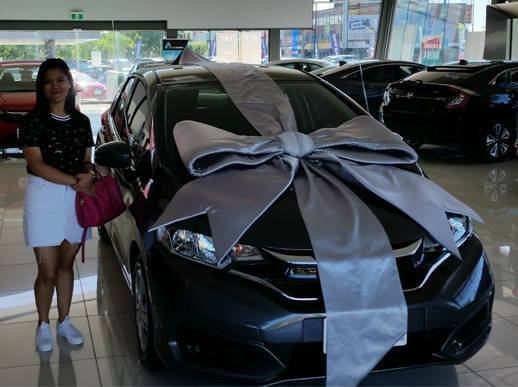 5/09/2017 - Here's Desree taking delivery of her new Honda Civic. 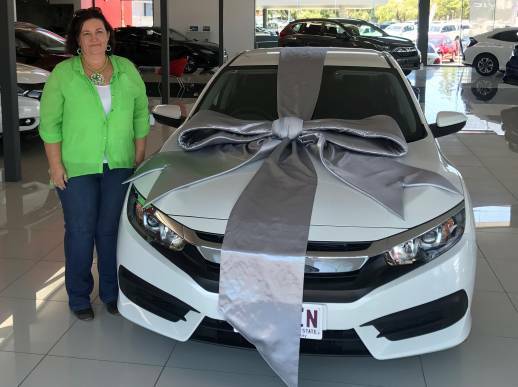 Congratulations on the new car Desree and thank you again for choosing North Jacklin Honda. 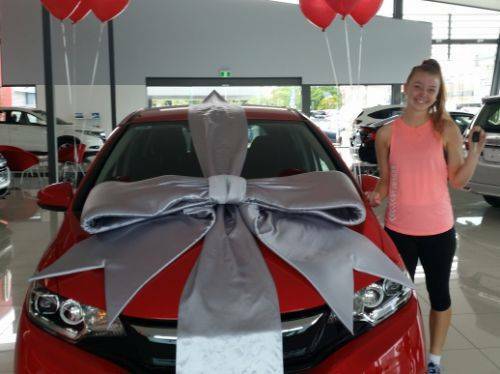 10/05/2017 - Jasmin has a new beautiful red Honda Jazz to cruise the streets of Mackay. 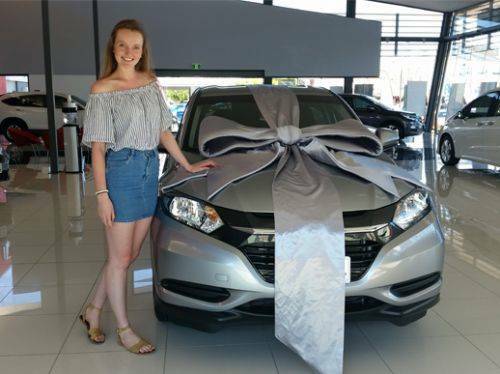 As one of the new Mackay Meteorettes, we at North Jacklin wish you all the best for your future sporting and driving adventures. 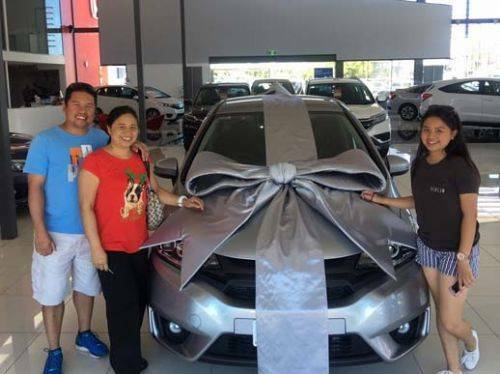 2/12/2016 - The Bajamundi's are super excited to pick up their brand new Jazz. We hope your daughter loves and looks after the car. Thank you again for the business and happy motoring. 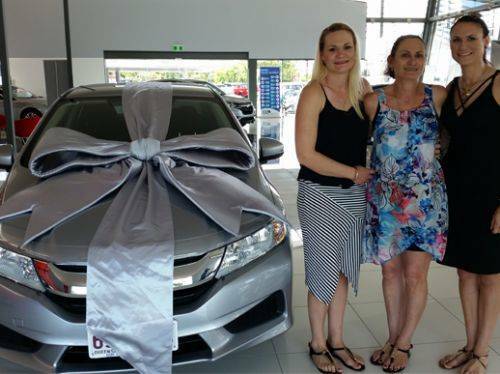 8/11/2016 - Thanks to her lovely daughters, Melissa and Simone, Tonina is now the proud owner of a spiffy new Honda City sedan. 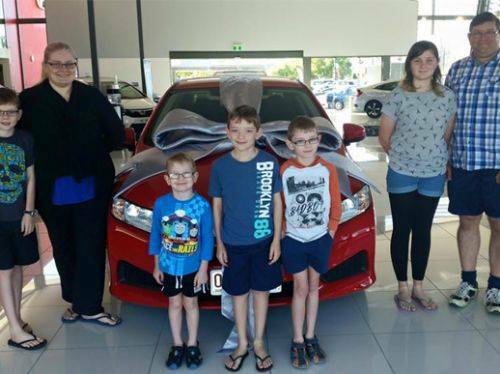 The girls thought it was time their Mum had a new car, so they bought it in secret and surprised Tonina totally! Enjoy your wonderful gift, Tonina and congratulations from all of us here at North Jacklin. 8/11/2016 - Will and Michelle are geared up to take the family on the next big road trip in their new Honda Odyssey VTi-L. Congratulations and thanks for choosing North Jacklin. 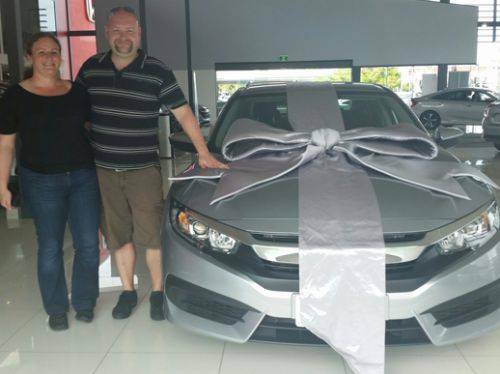 3/09/2016 - Csaba and Zsofia are heading off to Airlie Beach in their new Honda Civic sedan. Drive safe and thank you once again for choosing North Jacklin. 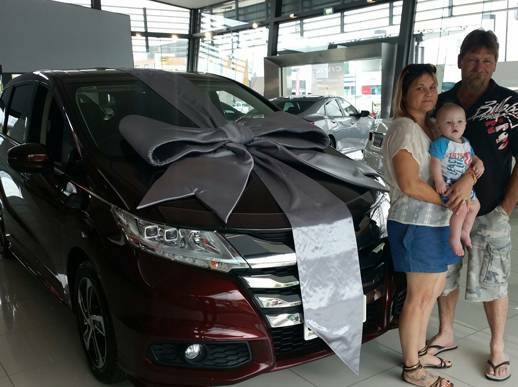 30/08/2016 - Inga is thumbs up to taking her new Honda Odyssey home to show her family. 27/08/2016 - Justin and Sarah are ready to take the family on their first drive in their new Honda City. How do you fit 7 people in a 5 seat car? You don't. You simply buy 2 cars! Congratulations and thanks for choosing North Jacklin. 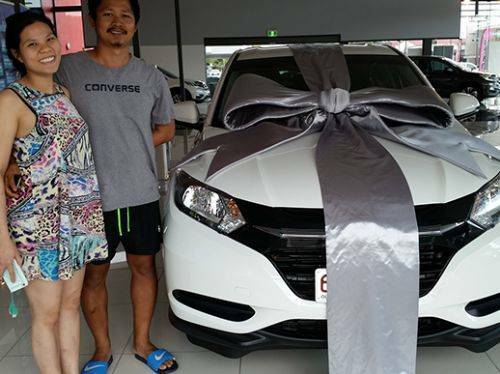 1/07/2016 - Peter and Mina and their new Honda HR-V. Now they just have to wait for the other new addition to the family to arrive. Good luck! 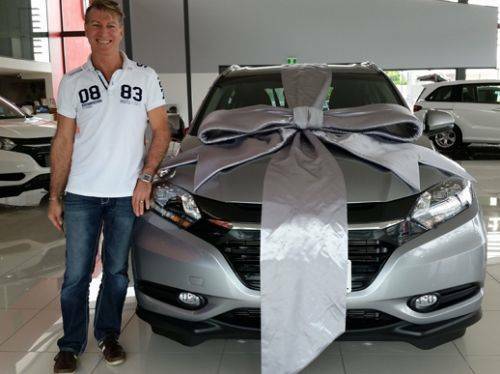 29/06/2016 - Presenting Monique and her stylish new Honda HR-V.
8/06/2016 - Mervyn's all smiles taking delivery of his new Honda HR-V. Thanks for your business Mervyn and happy motoring.